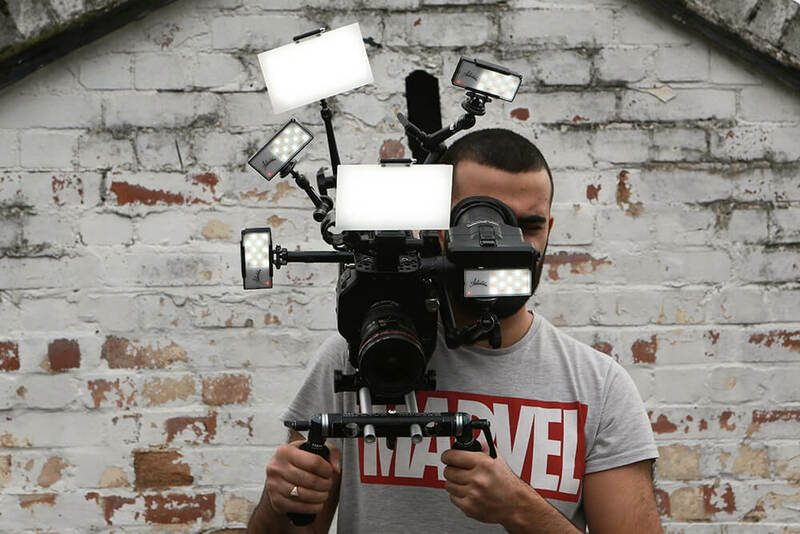 The Aladdin Mini Kit contains 2 x A-Lite LED lights, 4 x Eye-Lite LED Lights, 2 x A-Lite Batteries, a Battery Holder for A-Lite, 2x Eye-Light Tilting Holders, 2x Eye-Lite and A-Lite Shoe Mounts, 2x Magnets with 1/4 Screws, a Bi-Flex 1, Flexlite and Bi-Flex 2 Ball Head Stand Mount and 16mm Stud, a USB charger adapter for Aladdin and a 3i Case with Dividers. The A lite is an extra accurate super high CRI LED light source (97ra at 3200K and 95ra at 5600K) giving a realistic and consistent spectrum. It is also powerful, giving an output between 600 and 650 lumens depending on colour temperature set. Usability is also a strong point, it having dimming between 5% and 100% – all in a compact unit size that weighs only 205g. Now featuring a removable Lithium-Ion battery that provides up to 70 minutes of use at full power. It is charged with a lightweight charger that is included. Extra batteries can be purchased seperately. With a 1/4″ screw socket. There are three different versions of Eye Lite available: Daylight, Tungsten or Bi-Colour. The Eye-Lite (Bi-Colour) is the newest to the Aladdin family and has two integrated dimmers: one that adjusts colour temperature between Tungsten (3000˚K) and Daylight (6000˚K) and one that controls light output – from 5-100%. The unit has an integrated lithium-ion battery that provides a run-time of over two hours.